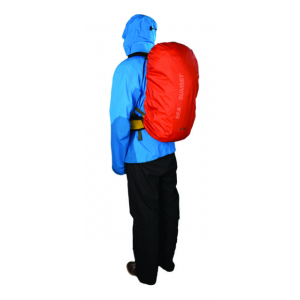 The Sea to Summit pack cover is a lightweight and weather resistant pack cover that does a good job in keeping the pack dry. My main use of this item so far has been on a 30-day through-hike on the John Muir Trail where I experienced rain on 10 of the 30 days. The cover got a good amount of use on this trip with lots of "putting it on, taking it off" each time I stopped. Even so, it did its job well and stood up to the rigors of the trail. 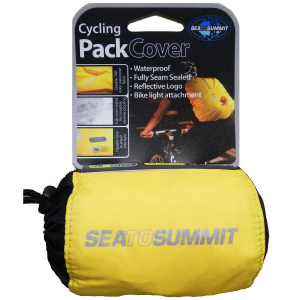 There is some disagreement about whether a pack cover is worthwhile or necessary. Some prefer to use trash bags or other waterproof materials to wrap around their packs to keep them dry in inclement weather. While there are advantages to that approach, there is something to be said for using a purpose-built piece of gear. 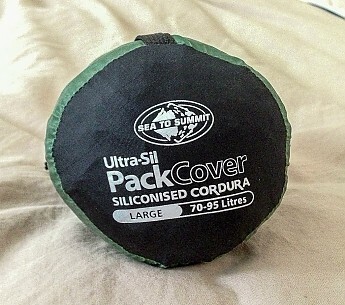 The Sea to Summit pack cover is made from siliconized nylon - "siliconized Cordora" - or "Ultra-Sil". I found this material to provide good protection from heavy rain. I used it while hiking, and to protect the pack from rain overnight. 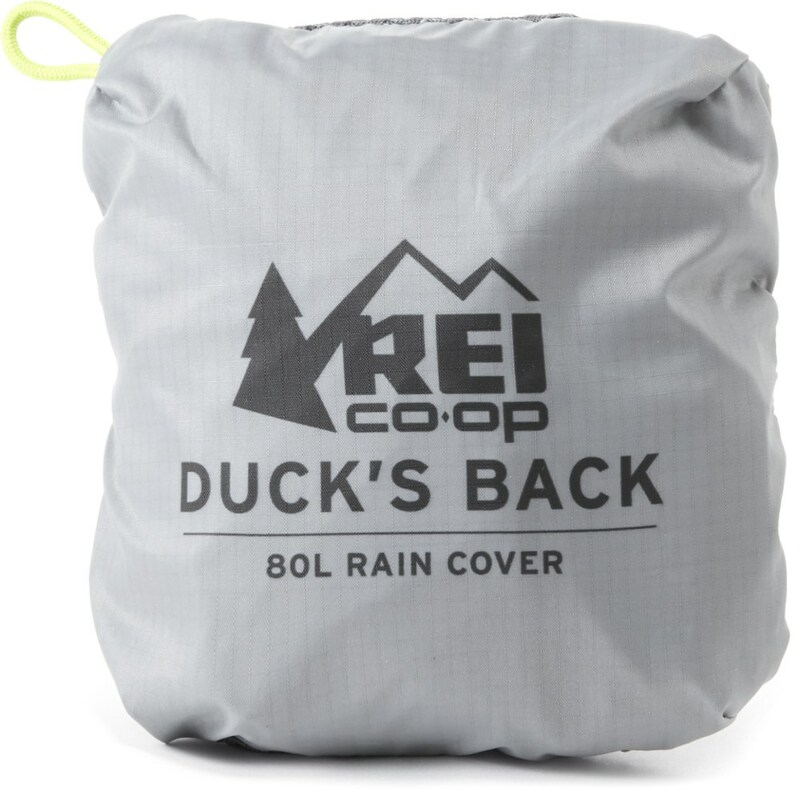 The material combined with its seamless construction kept the rain off my pack and it did not leak. 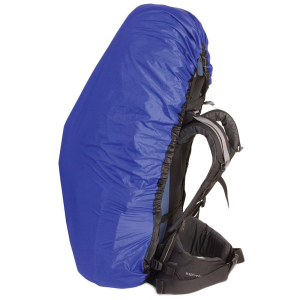 The Large size is rated for a 75-90L pack. I found it to be a good fit for my Deuter ACT Lite 65+10 pack with a Therm-a-Rest Z-lite pad folded and strapped onto the back under the cover. 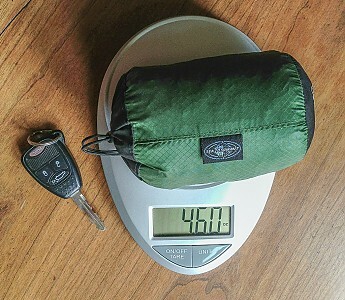 It could have accommodated a somewhat larger pack - but on mine (with the bulky pad attached) it was a comfortable fit. The cover is marketed as being rip and tear resistant. 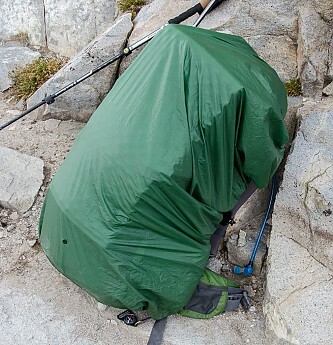 While the John Muir Trail is generally wide and free of over-growth, there are plenty of opportunities for tearing a pack or pack cover on rocks, or on branches at campsites. The cover held up well for me, with no damage other than some minor scuffs which are to be expected. 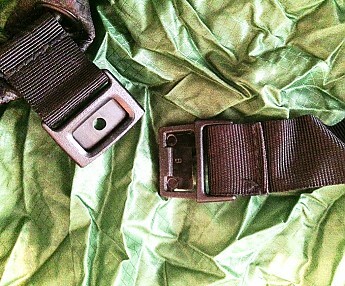 Presumably to keep the weight down the fasteners are very small. While I'm not a fan of little plastic fasteners (like the one on the attaching strap) it worked OK for me and hasn't broken so far. The cover comes with its own (attached) stuff sack. At first glance you'd never think the cover would fit into it, but it does. 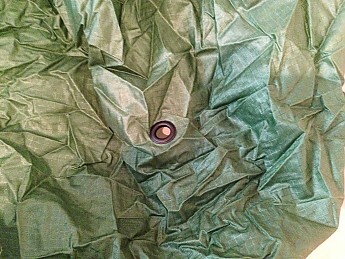 At the same time, when I found myself experiencing intermittent rain, I tended not to re-pack the cover between storms. 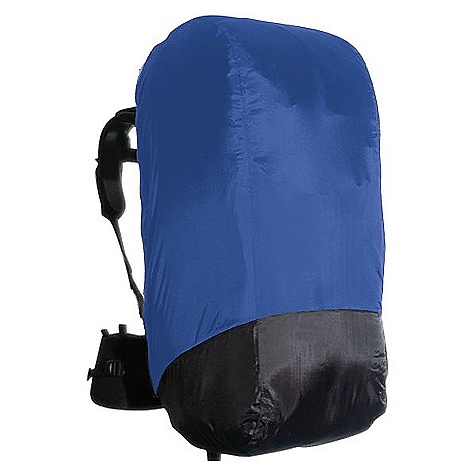 But when hiking in mostly good weather, the cover helps keep the cover compact. I also like found the green color to blend in well in the forest. 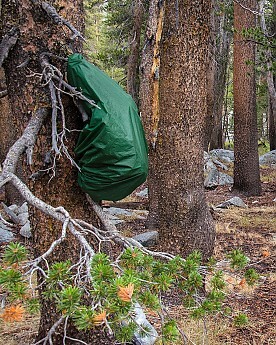 It's great when you hang up the pack in your campsite so it fits into the landscape rather than being an eyesore. The combination of doing its job well (keeping my pack dry), and being durable in spite of being marketed as an "ultra light" cover, is a winning combination. I would recommend this cover to anyone wanting to use a cover for their pack. The images below highlight some of the key features of this item. Very light, smartly designed, waterproof. I am in training for a 70 mile hike in the High Uinta Wilderness in Utah. Last year I purchased the large siliconized pack cover Sn 240 as a precaution despite the fact that I put my clothing in zip lock plastic bags. I am now using the large cover on my Gregory Palisade 80 (5000 cu in capacity). Yesterday the clouds came up so I deployed the pack cover and it worked so much better on the Gregory than my old EMS pack. Suddenly the rain began and over the next 30 minutes of my hike 2.5 inches of rain came down. Traffic stopped, streets flooded and visibility was near zero. I continued in the warm rain and lightning getting soaked. I had only experienced this kind of rain in tropical climates. When I reached my destination my pack was dry. The straps were very wet but the pack was really dry. I was very surprised that my unbagged items were dry. I was pleased with the performance of this product. 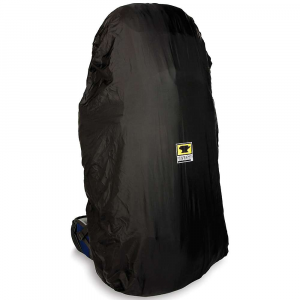 My other backpack covers were not very good and I would always scotchguard them yet after a week they would begin to leak like a bad tent. I rate this product 5 stars - and it is very light and well designed. Bought the small version of the Siliconized Cordura packcover for my Osprey Atmos 50 and it is absolutely wonderful. It has a stretchy outer rim, which seems to conform perfectly to the pack. If necessary, there is an additional pull string used to tighten the stretchy outer rim, but I have never used it. 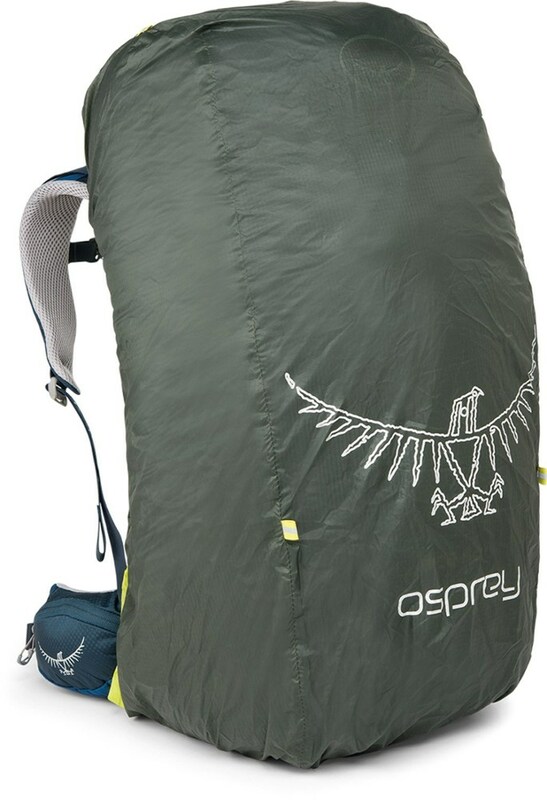 It is also extremely lightweight, so bringing it along is not a problem if there is only a slight chance of rain. It kept the my pack and its contents completely dry over a two-day miserable hike in constant rain.